Hi! My name's Bobby Schroeder. You may know my work from Tumblr or Twitter. 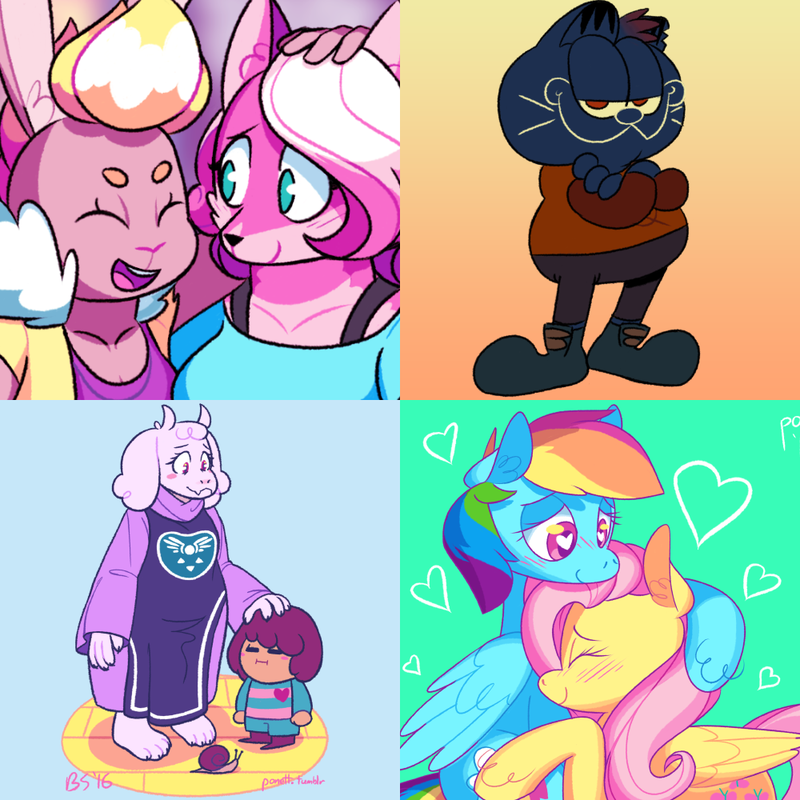 I'm a 25-year-old bisexual artist from Florida who likes telling fun stories with cute, colorful casts of LGBT characters in various mediums--primarily video games. My flagship project is a game called Super Lesbian Animal RPG (demo). 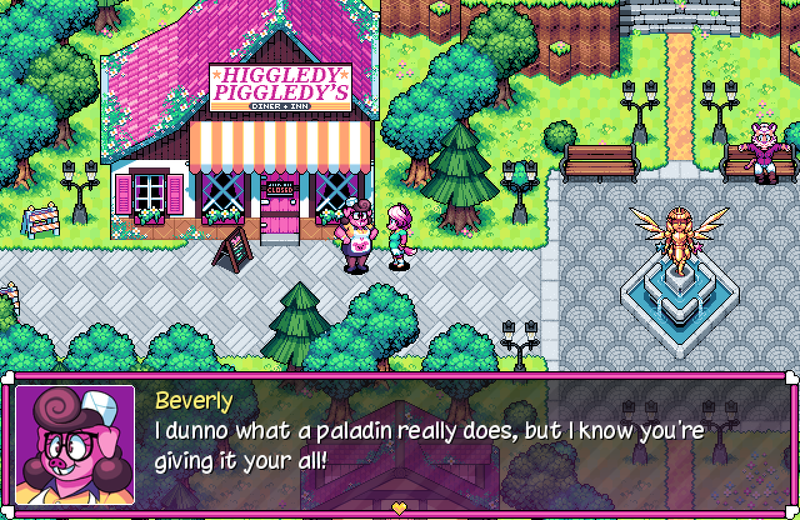 It's a short but sweet turn-based JRPG about love, anxiety, and funny looking monsters. 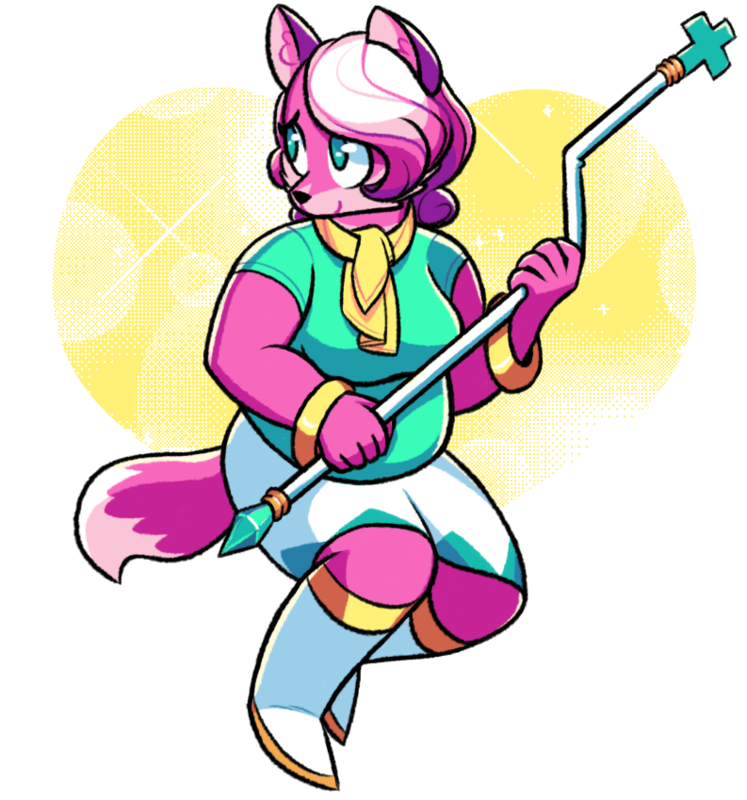 The story follows Melody Amaranth, a kindhearted but meek transgender fox who's decided to learn healing magic and become a paladin. She's joined by her adventurous girlfriend Allison, as well as their friends Claire (a sarcastic, rule-bending witch) (she is also trans) and Jodie (a dependable, somewhat motherly knight). Over the course of the story, our inexperienced heroes will meddle with forces beyond their control and find themselves responsible for the fate of their quaint little hometown. They'll also fight some spherical frogs, travel to a forgotten land in the sky, befriend a robot or two, and anger the local librarian. But that should go without saying. For more info, you can check the game's FAQ. When SLARPG is finally finished, I'm hoping to work on many more projects in a similar vein, both set in the same world or entirely unrelated. I also enjoy making miscellaneous digital art that isn't tied to larger projects. Sometimes you just gotta listen to your heart and draw a Sonic, y'know. Running an all-encompassing art Patreon allows me the freedom to work on multiple things at once, as I've always liked to do, and also to not have to start a new campaign every time I begin a new project. Rather than a campaign for one project, consider this a monthly tip jar if you dig the kind of stuff I make in general. Funds from this Patreon will go towards paying my rent. I would like to be able to focus on my art full-time. If my Patreon was able to pay all my bills, I would honestly be so happy that I would cry. A lot. But every little bit helps and is greatly appreciated! My art will still be viewable for free outside of Patreon, and my games will be available through more traditional means for non-patrons. But supporting me here gets you a number of cool perks as a sign of my gratitude! Check the tiers to the side for more info--and if you have any ideas for rewards you'd like to see, lemme know! $150 / month - SLARPG Prologue Comic! Reached! $250 / month - Pixel Art Tutorial Videos! Reached! $350 / month - SLARPG Digital Instruction Booklet! Reached! More goals will be decided on in the future! Thank you for your time, and if you have questions, don't be afraid to ask! Access to my patrons-only feed with early, WIP looks at things I'm working on, including exclusive sneak peeks at screenshots and concept art from SLARPG's development! Your name in the credits of SLARPG! Audio development updates from me and my boyfriend/SLARPG NPC designer Anthony! 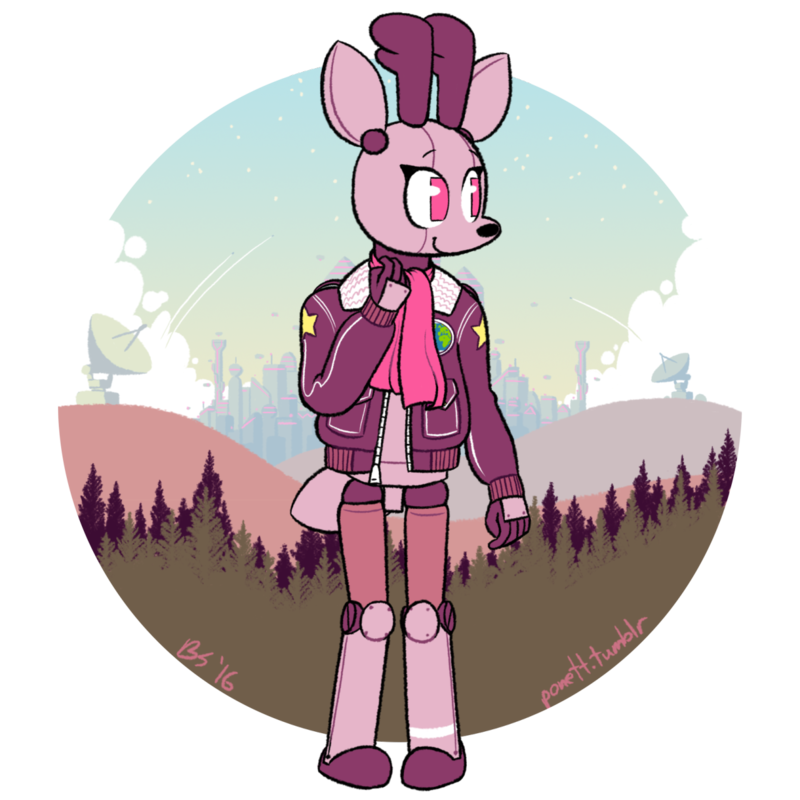 Full resolution PSDs versions of my art! I'll put together a digital instruction booklet--the fun kind, not the skimpy ones you get these days--to come with SLARPG. It'll give you a rundown of the basics in the game and feature a bunch of cute illustrations to go with it.